Powering the 718 GT4 Clubsport is a 3.8-litre flat-six engine producing 313 kW (425 hp). Compared to its predecessor, this represents a 40-hp increase in performance. The power is transferred to the rear wheels via a Porsche dual-clutch gearbox with six gears and mechanical rear axle differential lock. The lightweight spring-strut front suspension is taken from its big 911 GT3 Cup brother. The impressive racing brake system features steel brake discs all round measuring 380-millimetres in diameter. Tipping the scales at 1,320 kilograms, the 718 Cayman GT4 Clubsport, delivered ex-works with a welded-in safety cage, a racing bucket seat as well as a six-point harness, is a real lightweight. The basis “Trackday” version is aimed at amateur drivers who want to take part in private track and clubsport events without major effort and outlay. The vehicle features a fixed shock absorber setup. The ABS, ESC and traction control assistance systems ensure forgiving handling at the limit and can be deactivated. Also delivered ex-works is the air-conditioning system, a rescue hatch in the roof, a handheld fire-extinguisher and an 80-litre FT3 safety fuel cell. The non-road-homologated vehicle can be serviced at all Porsche Centre. The “Competition” model features a raft of details relevant for racing. The shock absorbers can be adjusted in three stages. The safety fuel tank with a capacity of 115 litres is suitable for long-distance events. Thanks to a brake balance system, the balance bias can be infinitely adjusted between the front and rear axle. An integrated air jack system guarantees fast pit stops. The quick-release racing steering wheel adopted from the 911 GT3 R ensures a range of adjustment options for the individual needs of the drivers. An automatic fire extinguishing system adds another safety feature for the racetrack. 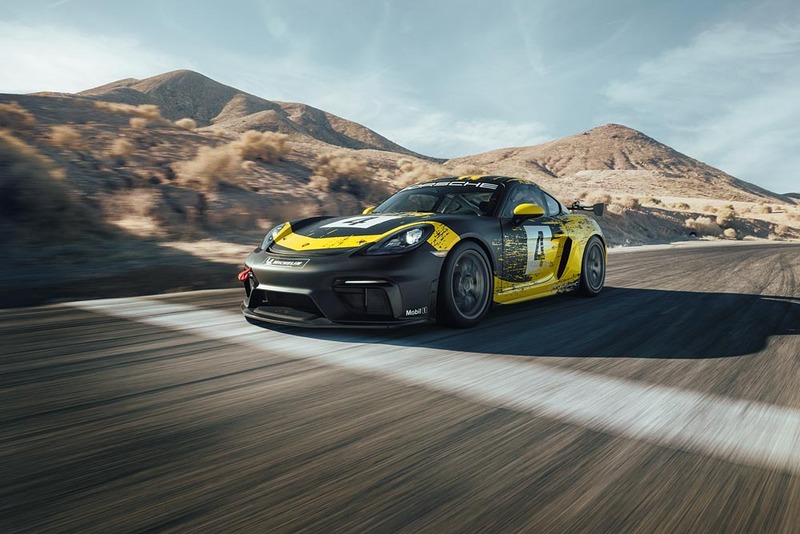 Porsche 718 Cayman GT4 Clubsport can be ordered now and will be delivered to teams and drivers around the world from February. The price including local vat and local options. For more information, please contact Porsche Centre by AAS Auto Service.